In collaboration with an external PR and traditional marketing campaign, SEG Agency jumped feet-first into the world of digital and allowed us to show them what was possible. 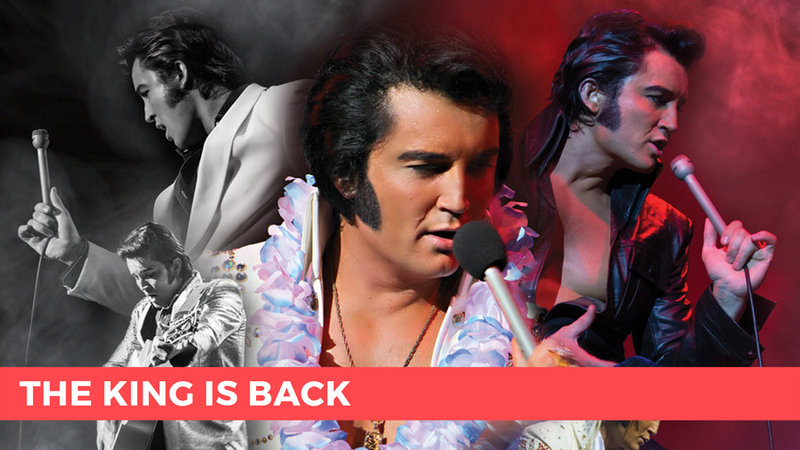 A dedicated landing page – thekingisback.com.au – would be the online hub for this project hosting links to all ticket vendors, a promo video and information about the show. Digital advertising in all markets would drive traffic to this landing page rather than directly to ticket vendors, due to the large number of ticket vendors and allowing us to remarket using the installation of remarketing pixels. Using an email capture pop-up integration, we could build an email database for the promoter of people interested in the show, both for the delivery of email marketing campaigns and also creating custom audiences on digital platforms. With the promo video and show artwork used as lead creative, traffic would be driven to the landing page from Facebook and Google, using a variety of ad products across each platform. 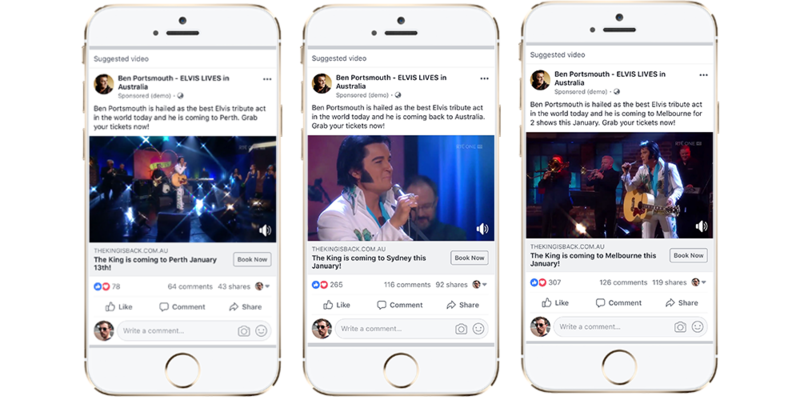 On Facebook, audience targeting included people that had ticket-purchasing behaviours and were identified as being fans of Elvis or similar artists. People who had attended venues previously or expressed interest in ticket vendors were also targeted. Utilising the Google Search Network (GSN) we served paid search results to people searching relevant keywords like Elvis, Ben Portsmouth and other artist-related keywords as well as display ads in Gmail and on YouTube. Building audiences from the remarketing pixels installed on the landing page, we were also able to target people who had visited the landing page but yet converted to a ticket purchase. SEG Agency were blown away by the result, with all 10 shows selling to near-capacity. They achieved ticket-sale milestones earlier than expected and reached breakeven ahead of schedule, allowing them to afford additional marketing in key markets. Facebook advertising generated huge levels of conversation with an unprecedented number of comments and shares across each individual ad. 24 of the 27 ads received the highest possible feedback rating from Facebook and 1 out of every 7 people reached clicked through to visit the website.